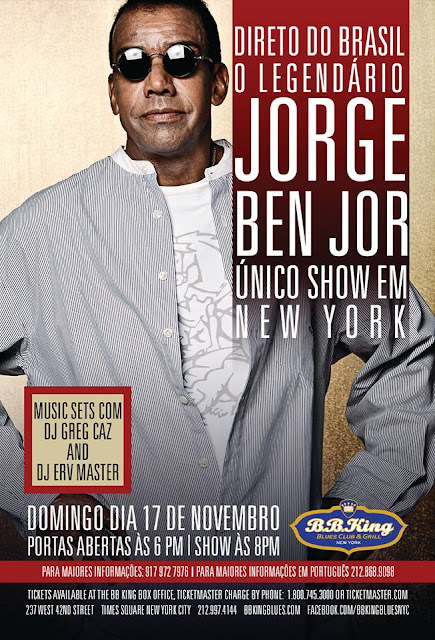 Brazilian music legend Jorge Ben will take the stage at NYC's B.B. King Blues Club and Grill November 17th 2013. Get your tickets now they're sure to go fast. Even if you don't know his name, chances are you're familiar with at least one of his melodies or songs. 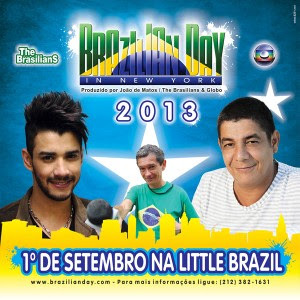 The 29th Annual Brazilian Day in NYC is this weekend. Samba great Zeca Pagodinho is headlining the festival this Sunday, be sure to check him out!! The festivities have already begun with the Brazilian Cultural Week and "Lavagem da Rua 46". The tracks you'll hear during the warm-up in my samba dance classes. You can find most if not all of these on iTunes. Enjoy! Download "Calaram a Voz do Nosso Amor"